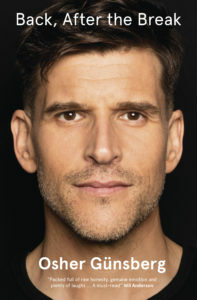 Osher Günsberg is one of Australia’s most beloved media personalities. You might know him from Channel V; announcing to a national audience of three million people that Guy Sebastian was our first Australian Idol; or hosting every season of The Bachelor, The Bachelorette and now Bachelor in Paradise. But in his memoir, Osher reveals a side of himself that the Australian public never could have suspected. Back, After The Break is a powerful, dark, funny and heartwrenching memoir about life, love and living with mental illness. Getting this memoir out into the world – from first word to final printed page – was no mean feat for Osher, so he took some time to reflect on the process that worked for him so he can (hopefully) inspire budding authors to pick up a pen and just write! It seems that I have a superpower. A power which I share with tens of thousands of other similarly abled people in the world. My superpower is that I know how to write a book. Of course, it’s not an actual superpower – if it were every author would have a three-part CGI blockbuster franchise named after them and we’d see Liane Moriarty and Peter FitzSimons getting about in lycra super suits. However, the way people look at me when I tell them I’ve written a book, it’s as if I somehow know how to do something that’s incomprehensible, something so utterly unattainable and unachievable that it may as well be a superpower. Truth be told, I was the same. Until I met Benjamin Law. Yes, Benjamin Law – the extraordinarily talented author, screenwriter, and journalist. Having signed the deal for my memoir some six weeks prior, and having written a total of zero words towards it at that point, I asked him during an interview for my podcast “So … how do you write a book?” and he kindly told me how to do it. First, write your chapter headlines. If you’ve got twenty chapters, then that’s twenty headlines. Then, write five things you’d like to say in each chapter. Now you have one hundred lines. Then, write five ways you’d like to say or to have happen between each of those things you’d like to say. Now you have five hundred lines. Now, hit ENTER after the first line and simply write paragraphs to get you from one line to the next. You can’t write a book about pots of gold if you don’t first write the rainbows. However, if in writing about the rainbow you divert from your story, lose momentum, add confusing information or throw someone under the bus – you can easily edit out the rainbow. But you needed to write the rainbow so you could find the pot of gold. Which is fine, because that’s what your book is about. In the end, no one needs to know that the rainbow even existed – but you wouldn’t have got to the gold if you hadn’t written the rainbow in the first place. Ben also told me that, when it comes to writing, make sure you set time aside like you would any task that you had to complete for a job. Because this is your job. You are a writer, so do your job. For me, I wrote in short bursts of 45 minutes on, 10 minutes off. Eventually, I worked up to 55/10. However I found that after about four hours all I was writing may as well have been porridge, so I put it away for that day. This is how I delivered a first draft of 148,000 words when my publisher only asked for 90,000. Because it’s always better to write too much than to be scrambling for content to fill in your quota. You can always tighten things up later. As far as editing is concerned? That’s a whole other blog post. 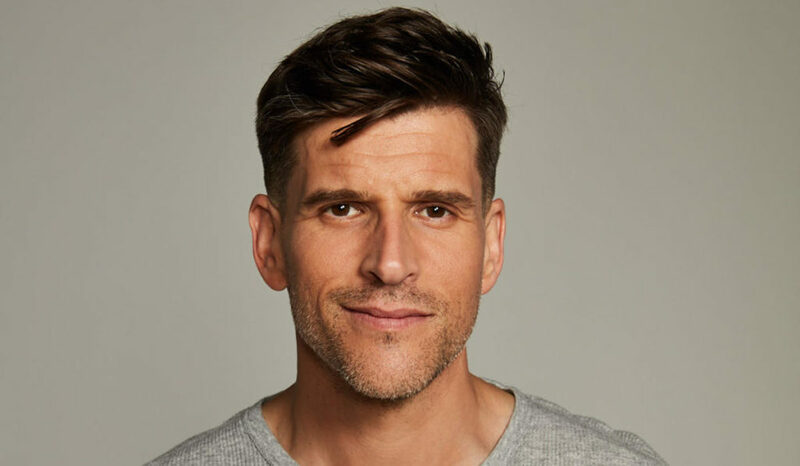 Osher Günsberg, one of Australia’s most loved celebrities, opens up in a powerful, dark, funny and heartwrenching memoir about life, love and living with mental illness. Osher has always known he’s different to most other people. Struggling with anxiety, panic attacks and weight issues since he was young, he tried for years to drink away the anxiety and depression. He ended up unemployed, divorced, suicidal and certifiable on the other side of the world, yet somehow he managed to put the broken pieces of his mind back together and make a life for himself again. He lives with a mental illness – and he’s come to terms with it to live an authentic, rich and fulfilling life. A revealing, raw, funny and heartfelt memoir from one of Australia’s most well-known and well-liked celebrities. This entry was posted in Health & Personal Development, How to and tagged Australian Author, celebrity, memoir, mental illness, osher gunsberg, writing. Bookmark the permalink. I know 2018 isn’t quite over but nonetheless I can wholeheartly say my “2018 book of the year” goes to Osher’s book Back Before the Break. His book is so raw, authentic, heart wrenching and admirable. Go Osher! Also I’m beginning to write some pieces of my own and this blog just helped me kick start!